For those who haven't yet turned to the dark side and can still feel the Force awakening inside you, bring in the New Year with a 'Star Wars' A-Z. A is for Admiral Ackbar. Military commander for the Rebel Alliance and member of the Mon Calamari species, Ackbar soon became fan favourite in Return of the Jedi. Made famous by his giant eyes and memeworthy catchphrase, the original Ackbar was a puppet for close up shots and had separate puppeteers for mouth and eyes. George Lucas wasn't best pleased with the final result, and after Return of the Sith was so impressed with the advances in animatronics he considered re-editing Return of the Jedi (again) to improve Ackbar. Thankfully he remains as his usual self and loyal nerds need not worry where the Admiral is now... Everyone's favourite squid makes a pop up appearance in The Force Awakens. B is for Bounty Hunter. It wouldn't be a Star Wars film without someone looking for someone and a price on their head, but no we aren't calling in Dog the Bounty Hunter (despite that being a pretty cool cameo). During the franchise most of the infamous Bounty Hunters were hired by Jabba the Hutt to track down Han Solo. Arguably one of the best characters from the original trilogy was the nearly silent Boba Fett, who hunted Han Solo across three films. Something of a legend in the spin-offs and comics, fans still hold out for Fett surviving his visit to the stomach of the Sarlacc in Return of the Jedi. In an attempt to make the prequel films more relevant, it turns out that Fett's father Jango Fett serves as the genetic template for the entire clone army. In terms of Bounty Hunters, who could forget the PS2/ Gamecube game Star Wars: Bounty Hunter where you finally get to do what you have always wanted and play as a Bounty Hunter, O.K. it was as Jango Fett, but we'll let you off. Liquid carbon that could change in to a solid, carbonite is best know for being Han Solo's temporary prison during The Empire Strikes Back. After being betrayed by his friend Lando Calrissian, Solo was transported to Jabba's palace by Bobba Fett in carbonite form, here he sat as a trophy, before being rescued in Return of the Jedi. Carbonite was used as early way of transporting goods in a preserved state or to protect spacers on long journeys. As seen in Return of the Jedi it has severe side effects on the body known as hibernation sickness. The image of Han Solo frozen in carbonite has become part of pop culture, available as iPhone cases, coffee tables and now available in Pop Tart form. Holographic pieces made of dangerous species were projected through the board, whilst a winning move by R2-D2 enraged Chewbacca. This leads Han Solo to explain why Wookies often pull off people's arms when losing at Dejarik. The planet of Abafar held an Abafar Junior Dejarik Club - Wookies were strictly banned. Think an Intensive-Care Bear, cuddly but fierce and based on the dog breed Griffon Bruxellois. The Ewok race are the most marketable of George Lucas' creations despite only popping up in Return of the Jedi. They have since starred in two made for television films as well as their own animated spin-off. Named after the native american Miwok tribe, Lucas had always envisaged a primitive tribe taking down the Empire. The forest moon of Endor was originally supposed to support the Wookies, but later plans created the opposite (short) Ewoks. Ironically the word Ewok is never actually spoken , but referred to in the credits and script. G is for Grand Moff Tarkin. I've often wondered what a 'Grand Moff' was. It sounds like something that flew out of a cupboard. A young version of Tarkin reappeared in Episode III to supervise the construction of the Death Star, played by Wayne Pygram (Scorpius) from Farscape. H is for Holiday Special. 1978 was a dark year for the Star Wars franchise, the televised Star Wars Holiday Special should be buried alongside the Atari ET game and the Super Mario Bros. film. Perhaps the only redeeming feature was that the holiday special was the first time we are introduced to Bobba Fett in a short animated section. The special was only ever aired in its entirety once and never made available on home video, therefore it has become an underground cult sensation, despite never being talked about. It featured the introduction of Chewbacca's family, as well as cameos from Luke and co. , and Carrie Fisher 'singing' the Star Wars theme tune at the end. Author David Hofstede cites the special as number one in his book What Were They Thinking? : The 100 Dumbest Events in Television History and it remains a sore subject for the likes of George Lucas and Harrison Ford, the latter saying on Conan O'Brien that he doesn't remember it at all. I is for In a galaxy far, far away. The opening crawl of 'A long time ago in a galaxy far, far away' is the very start of every Star Wars film as three short paragraphs scroll across our screens. Inspired by the opening text crawl on Flash Gordon and Buck Rogers, for the original trilogy the text was laid out on massive 2'x6' models as the camera panned down. This method was time consuming and hard to get a steady scroll, amplified when you had to do it the various different languages for international release. For the prequel trilogy, advances in technology meant it was done with CGI and then the originals were updated to fit their restoration and enhancement. Ahead of the release of The Force Awakens, those who typed 'A long time ago in a galaxy far, far away' into the Google search engine were treated to their own scrolling crawl of Star Wars search results - a pretty cool Easter egg for us geeks. J is for Jar Jar Binks. The only reason why Kylo Ren has any hope of being a worthy successor [to Darth Vader] is because we lose one of the most beloved characters. This means you do get to see Adam Driver throwing his acting credentials a lot more that Sebastian Shaw ever did. L is for Luke be a Jedi tonight. Mark Hamill is known for his superb voice work (The Joker), but for this article we refer to The Simpsons Season 9, Episode 10: Mayored to the mob. After saving Mark Hamill (played by himself) at a Sci-Fi convention, Homer is assigned to protect Mayor Quimby from an attempted mob assassination. We later meet Hamill playing Nathan Detroit in the Springfield Dinner Theatre's production of Guys and Dolls. The finale is a swinging version of Luck Be a Lady Tonight and ends with a Homer and Hamill homage to The Bodyguard. IGN marked Hamill's appearance as the second best in the Top 25 Simpsons Guest Appearances. M is for Max Rebo Band. Lead by the titular blue aardvark, the Max Rebo Band were performers at Jabba the Hutt's palace on Tatooine. Following the 1997 re-release of Return of the Jedi, the three members (including Rebo) were joined by some awful CGI and another nine members. Lead singer Sy Snootles was operated by two puppeteers beneath the stage in the 1983 version, but went fully CGI for the re imagining, whilst the original song Lapti Nek was also replaced by the more up tempo called Jedi Rocks. Lucas said the new song was more fitting and much less dated, and that the original scene in Return of the Jedi was meant to be much more elaborate, but the crew never had the time or money to film it. In Star Wars cannon the fate of the band was left unknown when Jabba the Hutt's sail barge exploded, but they lived on in literature and comic books. N is for New Hope. Originally titled Star Wars, George Lucas could never have known that his 1977 film would become the highest-grossing film of all time and make household names of the leading trio of actors. Being obsessed with space fantasy and the Flash Gordon serials, Lucas and other director Francis Ford Coppola attempted to buy the rights to Flash Gordon unsuccessfully. After failing, Lucas simply said he would invent his own and set plans for his space western. His envisioned space opera The Star Wars began in January 1973 where he spent eight hours a day writing, five days a week. Lucas was particularly inspired by 1958 Japanese film The Hidden Fortress, in particular telling the story from the two lowliest characters (C3-PO and R2-D2). He took inspiration from his own life where Chewbacca was based on his Alaskan Malamute dog Indiana, who often sat in his passenger seat, however in early drafts Han Solo was a large green skinned monster. The Star Wars was originally meant to be one film, but due to so much material evolved in to the original trilogy, then with more leftovers carried on to the prequels and subsequent 'new trilogy'. Lucas said not long after writing A New Hope he realised that this was in fact the middle of the franchise, not the start and early interviews suggested that Star Wars would consist of nine or twelve films. Considering we are only on No.7 and talks of many planned spinoffs, looks like the franchise will be around for generations to come. Perhaps the most consistent character across the franchise, appearing in every (yes every) film of the franchise, with original audio from Alec Guinness being used in The Force Awakens. Obi-Wan (Ben) Kenobi was the crotchety old hobbit who taught Luke the ways of the Force, becoming a mentor to a young Anakin Skywalker, and then his son, Luke. Once again Kenobi is based on a character from The Hidden Fortress, cited as General Makabe Rokurōta, with Lucas considering casting that actor as Obi-wan. Kenobi had later impact on Lucas, with the club at the start of Temple of Doom being named 'Club Obi-wan'. Despite making Alec Guinness most of his fortune, he would write to his friends that the franchise was "fairy tale rubbish." He once begrudgingly gave an autograph to a young fan who said to have watched the film over 100 times, this was only on the condition that the boy stop watching it! Obi-Wan was voted the 37th greatest movie hero of all time by the American Film Institute. First known as Jedi younglings, a Padawan is the term for someone who possesses the Force, usually of adolescent age. Adopted by a Jedi Knight or Master they are trained in the Force. When they have passed their Jedi trials the braid of hair on their head is sliced off with a lightsaber to show their promotion, not a top knot in sight. Think Mr. Miyagi and Daniel, with each Jedi Master only being allowed one Padawan. 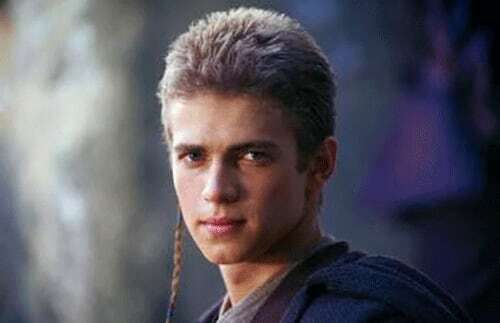 Thankfully Jake Matthew Lloyd had a haircut from that awful bob at the end of Phantom Menace, before being replaced by the dashing Hayden Christensen for Attack of the Clones. The term Padawan seems to appear in the Hindu language Sanskrit, where it means 'learner'. Q is for Queen Amidala. Harrison Ford wears the same outfit for three flicks, and I was complaining that I wear, like, six outfits. And my mother – Natalie Portman – she wears three million. In the original trilogy the idea of Luke and Leia's mother wasn't yet conceived, and in the earliest drafts she was killed when her planet was destroyed by the Death Star. An unnamed character, her grave was visited in passing, but it was only as the Anakin/Darth backstory grew that Lucas knew he needed to expand the character and ultimately make Anakin's turn to the dark side a love story saga. I like the idea that everyone loves someone. And even the worst, most horrible monster you can imagine was loved by his keeper. And the Rancor probably loved his keeper. Luke's killing of the Rancor affected him for many years to come, saying it was a shame to kill such a majestic creature, but that he did it in kindness too. The first concept for the Rancor was a cross between a bear and a potato... We aren't quite sure what look they were going for, but Lucas you nailed it. A young farm girl, a 65 year old general, the eventual Luke Skywalker - The character of 'Starkiller' was always the first hero of early drafts of Star Wars, which underwent many changes. The Adventures of the Starkiller, Saga I: The Star Wars was the original name for the second draft of George Lucas' script and heavily featured Luke Starkiller, this was changed due to a lack of female characters and Lucas even considered making Luke Starkiller female. Luckily this idea was shunned and Princess Leia was created as the counterpart. The Starkiller script became most of what we know for A New Hope, with a few exceptions including Annakin's younger brother Deak Starkiller. Elements of the Starkiller name still made it to final drafts, like when Luke first meets Leia on the Death Star, introducing himself as Luke Starkiller. This was taken out because 20th Century Fox didn't approve of the name. Outside of the film series the name Starkiller has been given to several characters, including a duel veteran called Bendak Starkiller and Darth Vader's secret apprentice 'Starkiller'. Another version of Starkiller plays a big part in The Force Awakens, the seventh film's version of the Death Star is a giant planet which can harvest a sun's power to shoot a powerful laser. T is for Trash Compactor. A two day shoot in shallow waters at Pinewood studios and Peter Mayhew's Chwebacca suit retaining that wonderful aroma. It wasn't just the actors who had a hard time filming the trash compactor scene in A New Hope. After escaping a shoot-out on the prison levels Luke, Chewie, Han and Leia found themselves in Garbage Compactor 3263827, where Luke was nearly drowned by the sea like dianoga creature, then crushed by the walls closing in. Luckily after R2-D2 penetrated the Death Star he managed to stop the group from becoming pate. A great scene which first shows the sparks and lovers tiffs lying between the Princess and Han Solo, plus it is the infamous blooper where the Stormtrooper hits his head. During the scene, debris had to be added that was realistic, but with the film was already over budget they had proposed using old plane metal. Thankfully this was deemed to dangerous for cast and crew, so giant pieces of painted polystyrene were used. U is for Uuuuuuh Uuuuuuuh. Its pool had been drained for cleaning—the walrus was stranded at the bottom, moaning—and that was the sound! YouTube is inundated with videos of how you too can sound like Chewie, but the personal favourite is this man's accidental impression when being zapped with a taser. V is for V: The Empire Strikes Back. I found myself glancing at my watch almost as often as I did when I was sitting through a truly terrible movie called "The Island." W is for Who shot first? Not since the assassination of J.F.K. and the grassy knoll has their been such a conspiracy theory as 'Who Shot First?' during The Empire Strikes Back. The scene at the Mos Eisley cantina depicts Han Solo's showdown with bounty hunter Greedo, with there (now) existing three versions. In the original 1997 version Han is the only one to shoot. The 1997 remastered version has Greedo shooting first, missing Solo, and in a 2004 DVD release both fire shots at the same time with Greedo missing his target. For years film students have poured over the issue, even launching online petitions to retract any changed to the original, but George Lucas was always against Han shooting first for fears it makes the film's main protagonist a cold blooded killer. Despite original script drafts stating it was always Greedo who shot first Lucas blames poor close ups and editing for the mistake. To me, [the original movie] doesn’t really exist anymore. ... I'm sorry you saw half a completed film and fell in love with it. But I want it to be the way I want it to be. Alongside your C3-PO and R2-D2 toys, the next thing every young Star Wars fan had was an X-Wing, the cool spaceship used to take down the Empire. Designed as a more traditional version of the Empire's TIE fighters by George Lucas' special effects department ILM. When ILM fell behind on their special effects Lucas would air footage of WWII dogfights in place of the X-Wings, this even appeared in early screenings to directors. Designed as blue, the colours of the squadron were changed to red due to the conflict with limited bluescreen technology, giving them their well know colour. As well as the miniatures, the production crew made one full scale model repeated over and over again to look like dozens, this was the same for the internal cockpit which had to be used by all the actors. Models of X-Wings have been displayed at the likes of the National Air and Space Museum, outside Disneyland's Star Tours and even a giant one made of Lego in Times Square. Rebels only had three ships survive, whereas the Empire lost at least eight TIE fighters and the Death Star's entire crew of nearly two million, payback for destruction of Alderaan. The Empire apparently didn't learn from its mistakes. Following the construction of the second Death Star, it was discovered it still had a weak exhaust port and once the shields were down it was a sitting duck. In events after A New Hope years are referred to ABY (After Battle of Yavin), with the earliest recorded date being 13,000,000,000 BBY (Before Battle of Yavin), the creation of the universe. Star Wars: Episode II: Attack of the Clones 'nuff said really. Set ten years after The Phantom Menace, Clones is inevitably the filler one inbetween 'the new one' and 'the dark one'. There were senate discussions and the Portman/Christensen love story this is probably the one you can skip. The only benefit is a reduced Jar Jar Binks and a young Bobba Fett cameo. Do you remember any memorable quotes? Nope, us neither!